This website started off in January 2017 with 20 of my games. This is game number 40 uploaded in September 2017. It’s is a game made in A4 Portrait format, hence the wide edges. 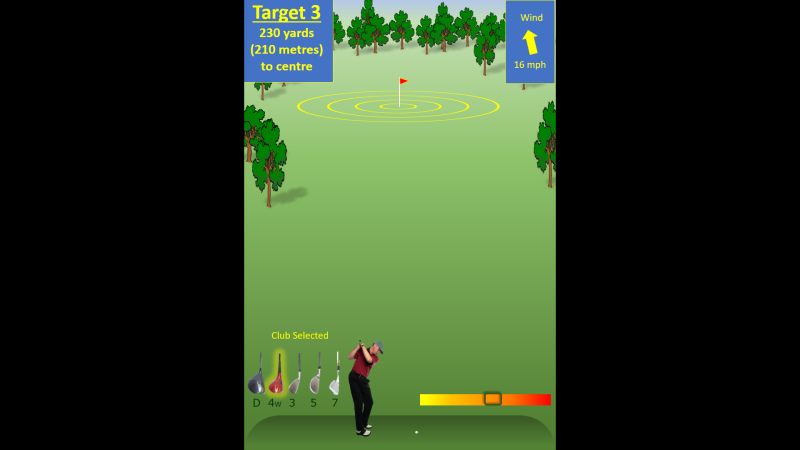 After checking the distance, the club you have, the wind’s speed and direction all you have to do is judge the amount of power you’ll need and when you think the power meter is showing the right amount of strength – take the shot! 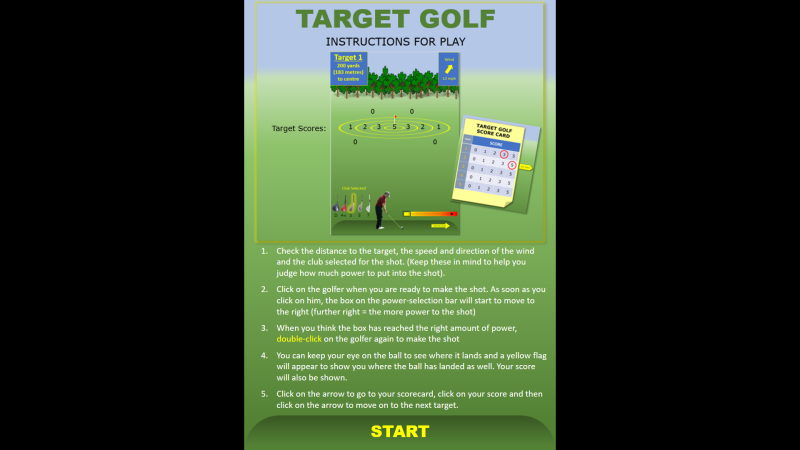 There are five targets to hit with five different distances and situations. 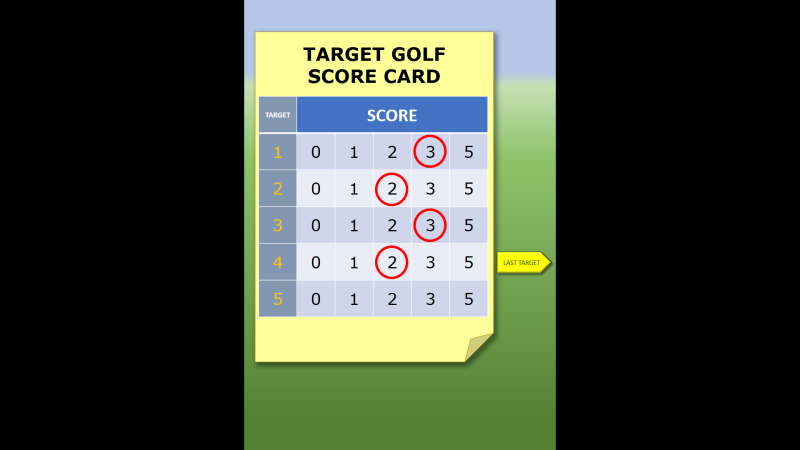 Golf: A nearly impossible sport to emulate in PowerPoint, especially without the use of Visual Basic – But you, my friend, have DEFINITELY made it work, and PERFECTLY, I might add!